Twenty Years On Max Pudney Looks Back At Cliff Tait's Record Breaking Jaunt Across The Tasman In A Fletcher Fu-24. A Brief Overview Of The RNZAF's Hueys In Their Recent Peace Keeping Role In Bougainville. Ag Specialist Ray Deerness Looks At This Peculiar Polish Radial. A Photospread From The Recent Fidae 1998 Airshow At Santiago. 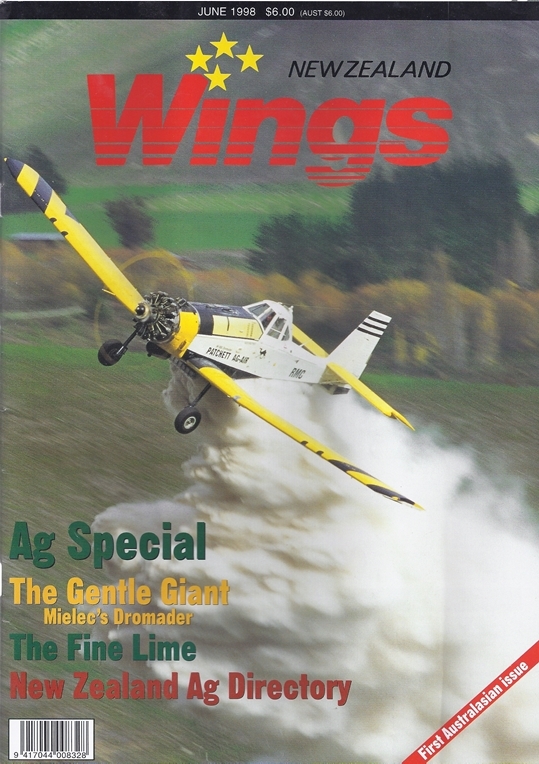 Nigel White Profiles Blenheim-Based Patchett Ag Air. No.193 The Sum Rises For Lockheed Martin's C-130J Demonstration Aircraft In Rongotai, New Zealand, On The Third Leg Of Its Word Tour. Sqn Ldr Paul Harrison Photograph.